With the long weekend almost over, our minds are turning to upcoming quilt and textile events. As luck would have it, three such events coincide in late April in the Blue Mountains and further west. A perfect time to gather a few friends, car pool and head out for a day or two ... and with the autumn leaves turning earlier than in Sydney, it's a beautiful time of year to visit. First up, is Textiles Out of Context. This is an exhibition showcasing contemporary textile artists residing in the Blue Mountains. The show includes weaving, felt works, costume design, dress making and, of course, quilts. QuiltNSW members Petal Davies and Rachaeldaisy are amongst the 26 artists represented. The exhibition is on now at Braemar House and Gallery, 104 Macquarie Road, Springwood until 30 April. The Gallery is open from 10 - 4 pm Thursday - Sunday. Entry by gold coin donation. Next up, is the Springwood Quilt Show. This is an annual event that runs over the last weekend in April and showcases the work of quilters who live in the Blue Mountains, including a number of QuiltNSW members. As well as over 150 quilts, there will be a display of Anne Sommerlad's quilts, pop up shops, including Sew Can I and Post Office Patchwork, to name but two, and a cafe serving delicious homemade lunches, refreshments and snacks. 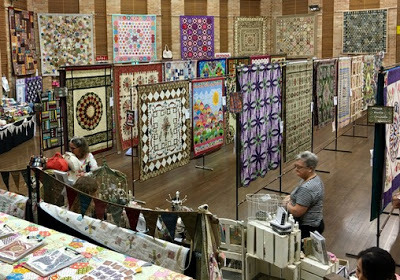 The Springwood Quilt Show is on from Friday 28 April to Sunday 30 April (10 - 4 pm each day) at the Springwood High School Hall, Grose Rd, Faulconbridge. More details available here. 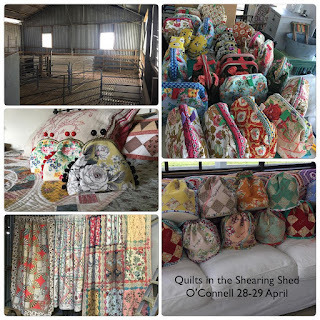 Finally, a little further west beyond the Blue Mountains is Quilts in the Shearing Shed. This is an exhibition of up to 100 quilts from Brigitte Giblin and her students. 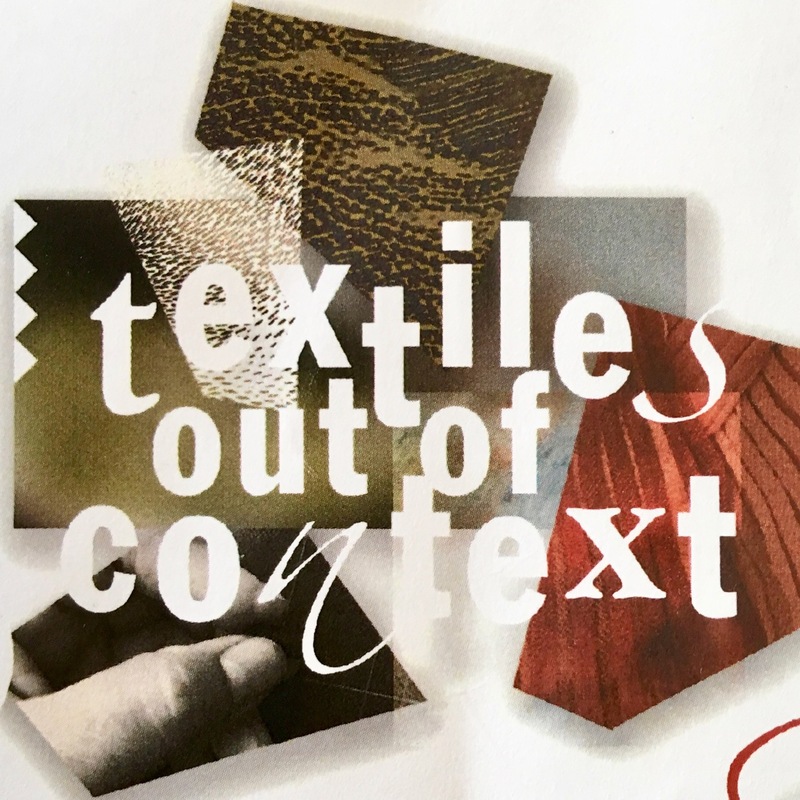 Having taught in and around Sydney for many years, this promises to be an inspiring show with paper piecing and applique styles sure to be featured. 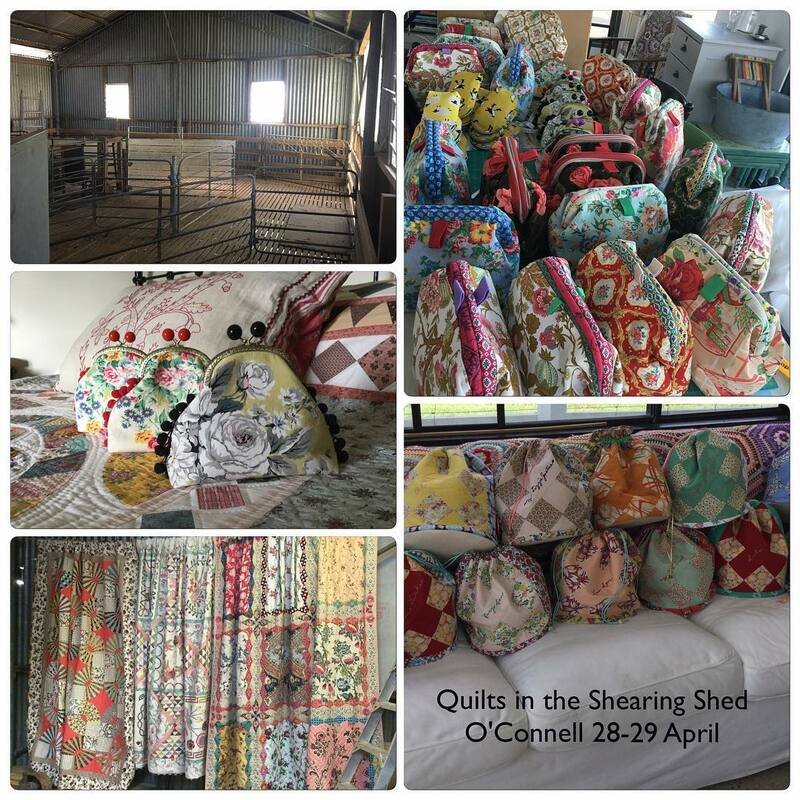 The quilts will be displayed in a rustic shearing shed at O'Connell, which is about 3 hours drive from Sydney. Pop up shops run by Cottage Quiltworks in Warriewood and The Home Patch in Bathurst will be there and many handmade items will be available for purchase. The exhibition is on Friday and Saturday 28 and 29 April at 9 Bloom Hill Road, O'Connell. More details available here.